Wherever there is shipping, storage, and heavy lifting to be done, forklift operators are always in demand and Forklift Certification is here to help you get the forklift job to build your career. From transportation, to manufacturing, to construction, warehousing and more, there are tons of industries and opportunities for forklift jobs across the country. Whether you’re new to the field or have extensive experience with operating forklifts, we’ll help you get trained as an OSHA certified forklift operator and find the job that’s a perfect fit for you. Whether you’re looking to find jobs for forklift operators in your local area, across the state or across the country, we’ll help you identify the best employers who are in need of your skill set. If you’re looking for forklift training or searching to find employers that offer forklift certification, we offer you the resources you need to find the best forklift certified jobs. What types of forklift jobs are there? There are literally dozens of different forklift jobs. Warehouses and distribution centers use standard indoor forklifts (gas and electric powered) to store and transport cargo. Larger forklifts for outdoor applications include powered industrial trucks for construction sites, dockyards, shipping terminals and other high-volume transportation links. Plus, there are certain forklift manufacturers – SkyTrak, for example – that require specific training and safety considerations. With OSHA training from Forklift Certification, you give yourself the best possible chance to obtain a well-paying, secure forklift job. Many employees who sign up for training ask, “How can I find forklift jobs near me?” With our training, you’ll enjoy optimal career prospects to find forklift certified jobs. LEARN MORE ABOUT YOUR DREAM FORKLIFT JOB! As you begin your search for the forklift job that’s right for you, it’s important to keep in mind the requirements and demands required of a forklift operator. While you don’t necessarily need a degree to work some forklift jobs, most employers require at least a high school diploma or its equivalent. And while many companies provide on site training, you can put yourself ahead of the competition and increase your job opportunities and earning potential by getting trained as an OSHA certified forklift operator. If you’re already trained and certified, you may want to look into a train the trainer program, as employers are always looking for leaders and managers that can help new employees get certified. 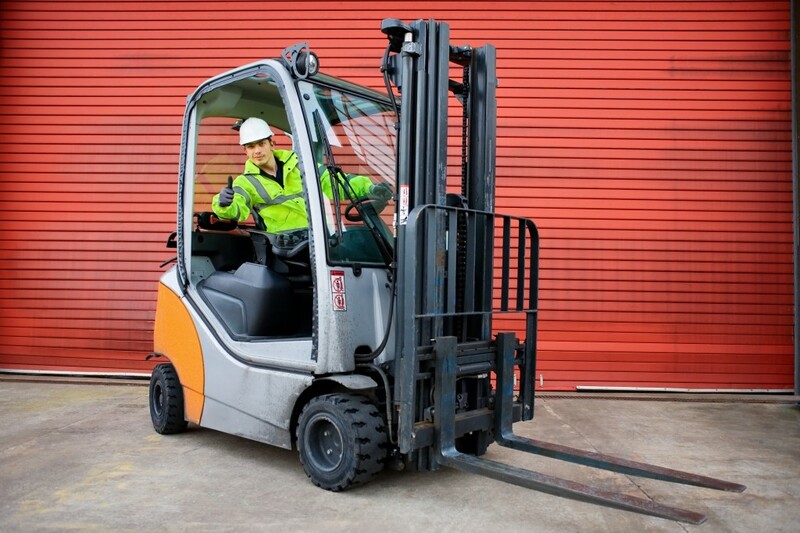 It’s important to know that for many jobs, forklift operators are required to work long hours and sometimes overnight, and may be required to have a certain level of physical fitness and stamina, as well as possess some math skills. It can also be helpful to have training and experience to prepare you to operate a variety of forklifts depending on the needs of the job. Are there forklift jobs near me? What about forklift certified jobs? If you’re in the market for a forklift job, you don’t have to go far to find one. Stores, factories, industrial parks and more – forklift jobs follow commerce everywhere. Of course, if you’re looking to land a forklift job in a major metro area, you can always look in places like New York City, Los Angeles, Chicago and other bustling cities. Forklift jobs can be found across a wide range of industries, including shipping, manufacturing, transportation and construction. Home improvement stores, lumber yards and sawmills often offer jobs for forklift operators to move large amounts of lumber. Forklift jobs in distribution warehouses may require operators to load and unload trucks with merchandise as well as store products throughout the warehouse. Shipyards, airports and railroad yards often need operators for forklift jobs to place large containers on platforms, planes, trains and ships. Also, construction companies almost always have jobs forklift operators can fill. Keep an eye on the Forklift Certification blog for forklift job opportunities, workplace advice, training tips and more. To get the forklift job you’ve always wanted, get started with our Train the Trainer, Forklift Training Kit or Bundle Package today! To speak with our OSHA forklift training consultants, give our office a call at (888) 278-8896.